Consumer confidence index in the first quarter reached its highest level in the past 10 years, buoyed by an improved macroeconomic outlook and better employment prospects, Nielsen’s latest survey showed on May 24. Nielsen’s index, which measures perceptions of local job prospects, personal finance and immediate spending intentions, climbed one point quarter-on-quarter to 115 points in the first three months of this year. Consumer confidence levels above and below a baseline of 100 respectively indicate degrees of optimism and pessimism. “As China’s economy maintains steady growth, innovation and emerging industries are creating opportunities and improving overall employment expectations,” said Tina Ding, vice-president of Nielsen China. 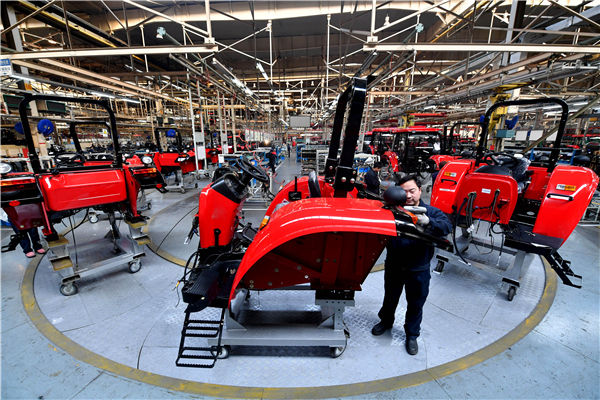 China’s GDP growth remained stable in the first quarter, up 6.8 percent year-on-year and 1.4 percent month-on-month, data from the National Bureau of Statistics showed. The steady expansion shows that as the three main drivers of economic growth — consumption, investment and exports — remained strong, China’s economy developed in a steady manner with new growth points, according to Wan Zhe, chief economist at the International Cooperation Center, which is affiliated to the National Development and Reform Commission. The consumer confidence index’s increase in the first quarter was a result of the combination of employment prospects, personal finance, and the willingness to spend. Specifically, employment prospects surged to 77 in the first quarter, three points higher than the last quarter. The growth of job prospects in rural areas was the most obvious, jumping from 78 points in the previous quarter to 83 points in the first quarter of this year. At the same time, the rise in employment prospects also contributed to the improvement of local buyers’ demand and consumption upgrading. “China’s urbanization has been further advancing along with the development of the Belt and Road Initiative. It began in coastal areas and eastern city clusters, and then extended to China’s midwest regions, leading to the rapid development of a host of lower-tier cities,” said Ding from Nielsen China. “This development has brought new business and industry growth that are creating employment opportunities in local markets,” she added.